He's the Batman who laughs. A Batman who laughs is a Batman who wins! From the pages of Dark Nights: Metal comes the Batman Who Laughs, the leader of the Dark Knights, a team of evil Batmen from across the multiverse. 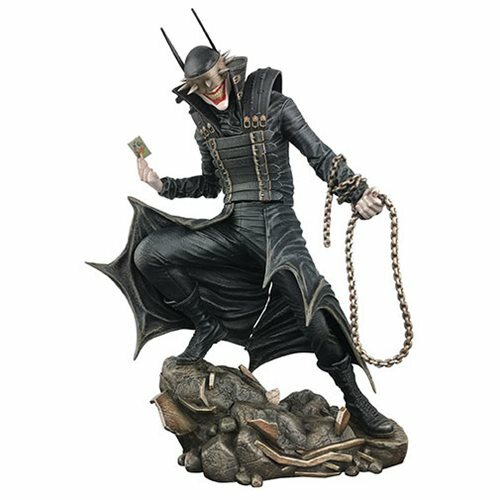 This fully Jokerized Batman stands about 9-inches tall, and features a detailed sculpt with exacting painted details. The high-grade plastic statue comes packaged in a full-color window box.